This is an opportunity to gain an unique insight into Constable's Salisbury Cathedral from the Meadows as well as free exclusive entry to The EY Exhibition: Van Gogh and Britain. 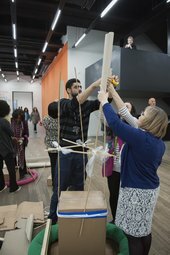 Attend curator’s talks and artist-led activities, pick up free resources and meet the Tate London Schools and Teachers team. Hear about forthcoming programme opportunities and share a drink with colleagues. Aspire aims to encourage audiences of all ages to enjoy and learn more about the work of John Constable by touring Salisbury Cathedral from the Meadows 1831 across the UK, supported by Art Fund and by National Lottery play­ers through the National Lottery Heritage Fund.